Jay and Joe Tallon Jr. are cold, calculating killers. Creators of the Blizzard System, the Long Beach, Calif., brothers and business partners use nontoxic liquid nitrogen to put drywood termites on ice. Freezes them dead in their tracks. “My brother Joe came up with the idea in 1984,“ said Jay Tallon, vice president of Tallon Termite & Pest Control. A simple idea has been transformed into a successful new technology. The process uses fiber optics to search out infestation between walls. Holes are drilled in the walls, and the fiber-optic devices are inserted to seek out the pests. Once the termites are located, liquid nitrogen is pumped into the infested areas. Temperatures in the confined spaces drop to 20 degrees below Fahrenheit and the pests turn into ice cubes. Pure nitrogen, which makes up about 80 percent of the Earth`s atmosphere, poses no health hazard to humans, pets or plants. The method requires no tenting or chemicals. Since the system was approved by the Environmental Protection Agency and the state Department of Food and Agriculture in 1987, customers have been clamoring for frozen termites. According to the Tallons, who have a patent pending for the method, the company`s average monthly revenue has increased from $85,000 in 1987 to $600,000 so far this year. End of story? An indisputable environmental and entrepreneurial triumph? 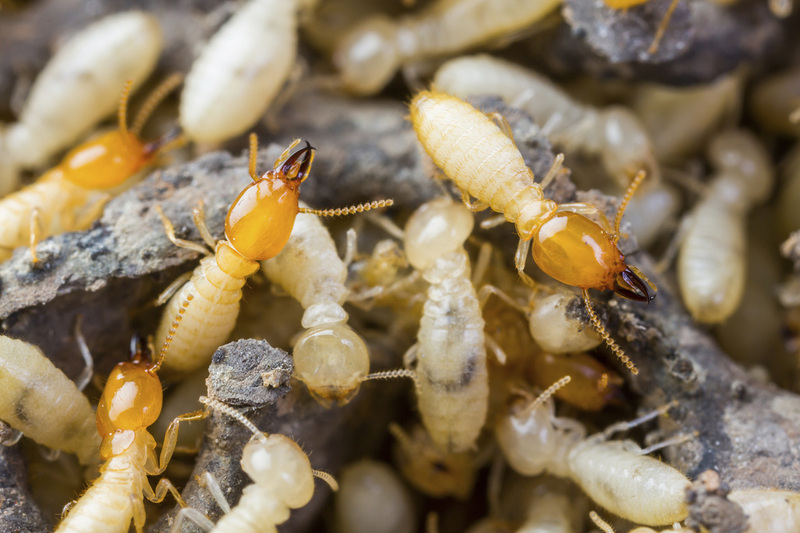 Critics of the Blizzard System in the pest control industry say that the method is not time tested and, unlike fumigation, which kills termites throughout the entire structure, liquid nitrogen only works on infestation that is detected and confined. “I`m still a little skeptical because it hasn`t been around that long,“ said Larry Musgrove, president of Musgrove`s Pest Control, in Santa Barbara. In structures that are thoroughly infested, however, Tallon uses traditional pest control chemicals as well as the liquid nitrogen method. “But in 8 out of 10 jobs, we use our system alone,“ Jay Tallon said. The Tallons have hired a public relations firm and are embarking on a media blitz because they believe that competitors have hatched a plot that could drive them out of business. “tearing agent,“ a superficial eye irritant, when using the odorless, invisible Blizzard System. “It could put us out of business,“ he said. Jim Steffenson, board president and owner of a termite and pest control business near San Jose, denied that industry representatives have a conflict of interest. Questions about the classification status of the Blizzard System were brought to the board`s attention by industry representatives rather than by consumers, said Mary Lynn Ferriera, the board`s registrar. However, she maintained that other pest control and termite companies would have nothing to gain if the board were to classify liquid nitrogen as a fumigant. The board is to hold an open meeting about Blizzard on June 27 in Los Angeles. It has not been decided whether the session will be an informational meeting or a formal public hearing, which would be the first step toward classifying liquid nitrogen as a fumigant.